Wisconsin Drug and Alcohol Treatment Facilities. Are you looking for Wisconsin Drug and Alcohol Treatment Centers? Our listings listed below can help. The predominant drugs in Wisconsin are crack cocaine, heroin and marijuana. Crack cocaine distribution and use is concentrated mostly in the eastern and central parts of this state. Powder cocaine is used heavily as well. Heroin is also a growing problem. The heroin available in Wisconsin tends to be high in purity, which makes it more addicting and also dangerous. Nigerian, Dominican and Mexican drug trafficking organizations primarily control the drug trade in Wisconsin. Mexican organizations are primarily responsible for importing methamphetamine, cocaine and marijuana. Nigerian groups specialize in heroin which comes from Southwest Asia. Dominican groups traffic cocaine and heroin. Street gangs are often retail distributors. Cocaine HCL and crack cocaine can be found throughout Wisconsin. Most of it is smuggled in by Mexican drug trafficking organizations. Heroin use is worse in the Racine and Milwaukee areas. The use of the drug is becoming problematic in Madison and the surrounding area as well. Methamphetamine is imported from the southwestern region of the United States. Some of it is also manufactured in domestic labs. However, the output from the latter has been decreasing. Club drugs are used mostly by teens and young adults. Ecstasy is the most popular. However, LSD, GHB and GBL are used as well. Most of the marijuana found in Wisconsin comes from Mexico and is shipped in from other states around the country. A lot of it is also cultivated right in the state. There are major outdoor and indoor operations cultivating operations. Oxycontin, Hydrocodone based products and Methadone, as well as Benzodiazepines, Percocet and Dilaudid are the most commonly abused pharmaceutical drugs. 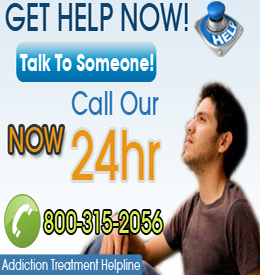 Choose a City to Find Addiction Help in Wisconsin.